Is the thread dead? Has development stopped on this? There are no updates since Feb 27, 2014. Any news from the Devs? @2bad still there? im using winxp sp3 and alc888 on an intel dq67sw. 1. when i press the dolby headphone button while dts interactive or dolby digital live is enabled channels completeley get crazy. for example center comes out from front left. with the original "clean" drivers i must click the dts neo pc button and when its red it works. on the unlocked drivers i dont have a dts neo pc button. only the window to change the dts neo pc settings but no option to enable it. Like rkk said, has there been any news, especially on the ALC1150 front? I was able to get this working just fine on my old eVGA 780i (Realtek ALC888 chipset), Win7-64 using the 2.71 drivers and unlocked dll using my Logitech Z5500 in 5.1 audio system (tested in movies, games, and control panel). This was for both DTS and DD using optical cable. Games that look to Windows to determine speaker configuration all worked perfectly in dts 5.1. VLC also sent dts/DD perfectly to receiver and everybody was happy. Sooooo, the big question is, does anybody have or know where I can beg, borrow, or steal an unlocked RTKVHD64.sys driver for the ALC1150 chipset? That seems to be what is needed to "fix" the ALC1150's problem for boards that didn't license it. Hey man, im thinking on getting the same motherboard you have, the Asus Maximus VI HERO with ACL1150 for a new PC build. And I'll be connecting it to my receiver for 5.1 surround. You seem to have overcome the impossibility of getting the hacked DDL drivers to work for the ACL1150. I was thinking if you could update me since its been long since u last posted here. Should I get the motherboard then? Is it easy to get the hacked drivers to work for DDL on this motherboard? And will it work on Windows7? or win8 only? Thanks man! 5. Went to safe mode and raplaced RTKVHD64.sys in system32/drivers with singed one. At this moment I have no idea how to make it work, I think problem is outdated "RTKVHD64.sys" driver but I'm not 100% sure. Not sure what I will do now but I'm thinking about getting Creative Sound Blaster Z, in some unspecified future, low on $ right now. I've also tested R2.71 and it didn't worked for me. It was actually worse, front center didn't work. Does it make any difference using this drivers for Z-2300 speakers ? One thing i noticed from XFI Platinium is the volume is lower compared to it to achieve the same volume i need to turn the speakers louder. can anybody make windows xp x86 and x64 versions with "dolby digital live", "dts interactive" AND "dolby prologic" and "dts neo" ? in the R2.71 M1 dolby prologic and dts neo are not unlocked! Tell whether its method presented in this topic? Mean support DDL and DTS. I have the same problem as karlfranz. Signal for rear speakers is send to side channel. Has anyone solved this problem? Great, DDL and DTS works on my GT72QE and UD5H-z77 board. The only thing I can't seem to get working is the DTS:Neo Music mode slider. I am connected thru optical. Any advice? made using R2.75 as base. only bothered with 64-bit since it's for personal use. Thanks to 2bad for original modified drivers. Thanks predpray your dll fixed my Realtek Audio Manager connection panel within the manager wih is AWESOME now I can map laptop speakers and DYNAUDIO and DIGITAL at same time , however it doesn't work wih R2.75 drivers correctly (or any other newer release ) in my case only R2.73 in combination with your DLL works correct and without a glitch . 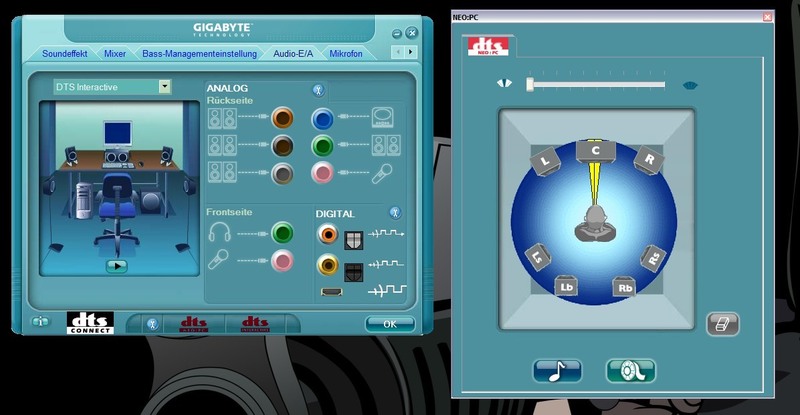 DTS and DDLive both are available for selection within Audio Manager DEFAULT FORMAT section , while with R.75+your DLL or the original one for that matter it is not available . so 2bad's R2.73 dll with R2.73 driver does not have the connection panel? i don't know why is that so as i only ported the same modifcations in 2bad's R2.73 dll to R2.75's dll. i have DTS and DDLive available for selection though..., i only can't seem to activate DTS Neo: for DIGITAL. but since it works perfectly for you with 2.73 driver i guess it's fine? since 2.75 only added support for new audio codecs (and maybe some other audio enhancements? i.e. SRS Surround, which aren't activated in these modified drivers). Well it does have the connection panel only wrong mapped . It hows 2 inputs instead of 4 + 1 Digital as it should be . Your modified DLL fixed this at least for me but strange as it is it works correctly only in combination with R73 driver set . I don't know what is so different between R73 and R75 and why it works flawless with 73 and with 75 doesn't . What I noticed in 75 when you go to Realtek manager DEFAULT FORMAT TAB dts and dolby are missing the last shown value for selection is 24bit 192000hz so its obvious it wont work . can't help you there as i barely understood the machine code modified. but as said you aren't missing out if you use 2.73. I cannot stress how good it is to use the Dolby drivers.. It IS a vast improvement. Which Dolby Driver are you referring to? Maybe some of us could get together online and work this stuff out and make a release for people? I did engineering in College so figuring out the Hex shouldn't be to hard. and I installed the Home Theater. Just being able to perma-equalize is nice. I can't believe people are even messing with that whole driver signing business. It's not worth it, especially since it leaves your system vulnerable AND end up with an ugly watermark on your Windows desktop. I read even the watermark removal tool causes problems on your system.. The solution is to use the dll (alternate method) correctly. Also, with the below method, you don't even need to change back the dll to the original DLL, it will use the unlocked one without complaining (I'm guessing due to the DisableProTectedAudioDG registry setting). 1. Download the Realtek 2.71 driver and replace it's DLL(s) with the unlocked ones from the first post of this thread (Alternate method). Also, right click the unlocked dll file, under the General tab, click on "Unblock", then hit "Apply". 2. Then, Go to "HKEY_LOCAL_MACHINE\SOFTWARE\Microsoft\Windows\CurrentVersion\Audio"
add "DisableProtectedAudioDG" of DWORD (32bit value) type and set it to 1. 3. Finally run the Setup.exe for the driver you downloaded (and replaced it's appropriate dll). it will ask you if you want to install an unsigned driver, just say "Yes". It will automatically uninstall any Realtek driver you have and install your hacked driver. Only needs one automatic reboot. 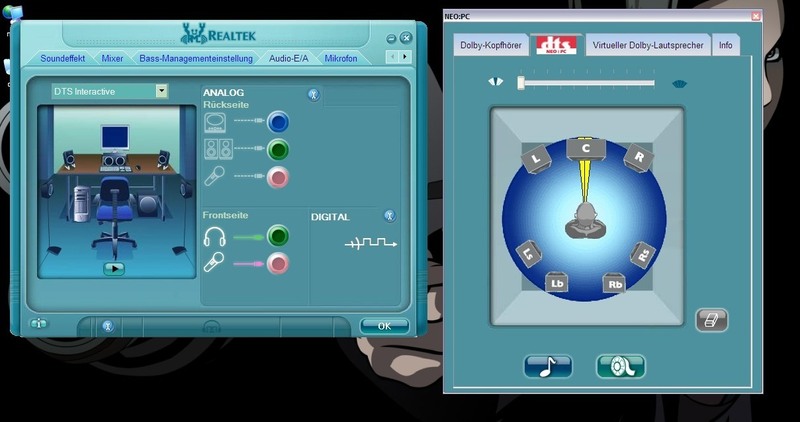 Both DTS Interactive and Dolby Digital Live option are selectable and work as intended. PS: I tested this on Windows 8.1 Pro 64bit. Did 2bad disappear for good? Although, I have everything working under Windows 8.1 using the unlocked dll, it would be nice if there were updated unlocked DLLs for version 2.75. Thanks to 2bad for original modified drivers. Made using R2.75 original files. As stated by mkanet, i could only get the alternative method working after adding the "DisableProtectedAudioDG" registry key. tested working just as fine as R2.73 M1. I second mkanet's opinion to use this instead of enabling test mode with the first method. 2. After installation, go to "HKEY_LOCAL_MACHINE\SOFTWARE\Microsoft\Windows\CurrentVersion\Audio". Add "DisableProtectedAudioDG" of DWORD (32bit value) type and set it to 1. To test if Dolby PL2 is working you can play music from WMP. Alternatively, if you're using chrome, launch with the "--try-supported-channel-layouts" parameter, and play some videos or music on the web. DTS Neo: still can't seem to work, anyone who knows how to use it pls reply. There are audio suites which include upmixing along with other enhancements too (i.e. Dolby Home Theater, DTS Ultra PC) as Schmuckley suggested, but audio purists might want to keep away from them. You can find them below. I'm not sure if they include DTS Connect and DDL but if they don't I would guess using one of the modified dlls here should enable them. Do note that the X-FI MB3 activator has been flagged been as a trojan by many antiviruses though. My PC is connected via optical cable to the HT (ALC892). Default output format is Dolby Digital Live 5.1. Audio of any movie file plays 5.1 in VLC and MPC. Audio of games with native 5.1 plays in 5.1. MP3 files are perfectly converted to 5.1 because Dolby Prologic II is enabled in Realtek CP. But stereo audio from Chrome, Firefox, old games and other programs only outputs in the 2 front speakers. What do I have to do to make Dolby Prologic automatically convert any stereo audio to 5.1 in Windows? AFAIK as stated above, for chrome you can add "--try-supported-channel-layouts" to its shortcut parameters. The problem seems to be that Dolby PLII upmix to 5.1 only if the source output is 2.1. I'm guessing chrome outputs 5.1 by default so Dolby PLII determines that it does not need to upmix it. If possible, you could try forcing the other programs to do the same and see if it works. You could also try installing audio suites, like Dolby Home Theater, as they seem to upmix regardless of output channel configuration.